What can a white picket fence do for your yard? If you are like many people, you know the value of adding a fence to your yard and want to have it. With the investment in our Williamsville, NY picket fencing you can do more than just add a bit of beauty to your yard. You can also increase the home's value, add a level of safety for children or pets, and create a bit of protection for your landscaping. At The Vinyl Outlet, our goal is to help you to create the level of protection and beauty right for your home and for your specific needs. Why Invest in a Vinyl Picket Fence? There are many fencing options available to you today including several other options available to you from our lineup. 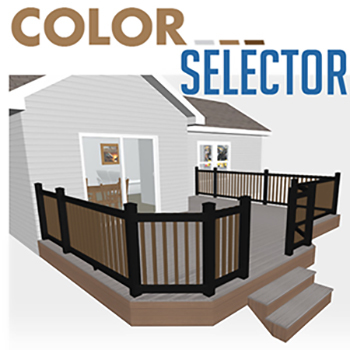 Yet, the picket fence offers a number of benefits, especially when you choose from our line of vinyl products. These products are highly durable and they last for years to come. They can be easy to maintain and yet they are sturdy and beautiful. We highly recommend their traditional, American style for both front and backyards where you need a fence that is both functional and stunning. Make a statement in your front yard using these fences. To get picket fencing, call our team today for a free estimate. We'll help you to get exactly the look you want. It starts with a consultation at your home to talk about your needs, your budget and our large line of product options. There's no pressure but plenty of opportunity available to you. Our vinyl picket fence service customizes solutions to meet every clients' unique needs. To get started and to learn more about your options, call us. Our white picket fence services are available throughout Williamsville, NY and Western New York. If you've dreamed of a home with a picket fence, you need the products we can offer to you today.